Our iconic and best selling shirt is finally available in short sleeve for our kids. 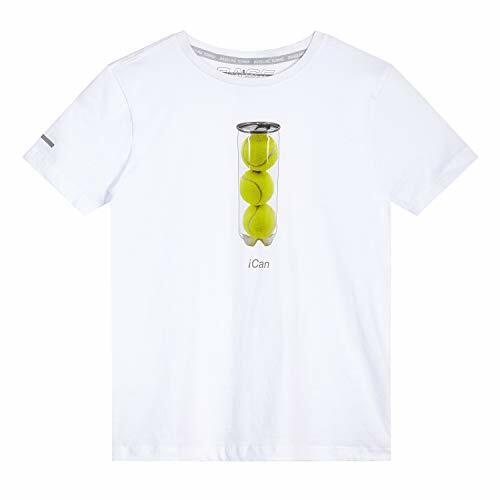 This cotton tee was designed for the true tennis purist offering the finest of cottons available. Inspire your child with this motivational tee. 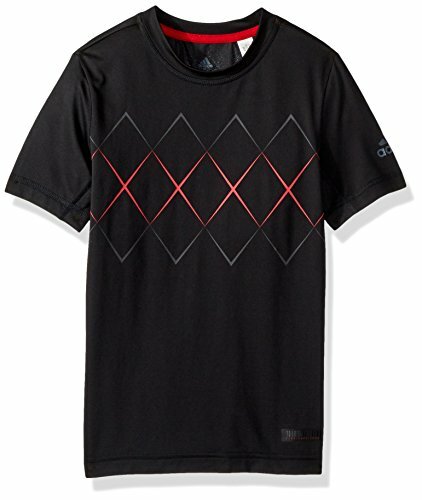 For added detail, the iconic Baseline Tennis logo is added to the right sleeve. 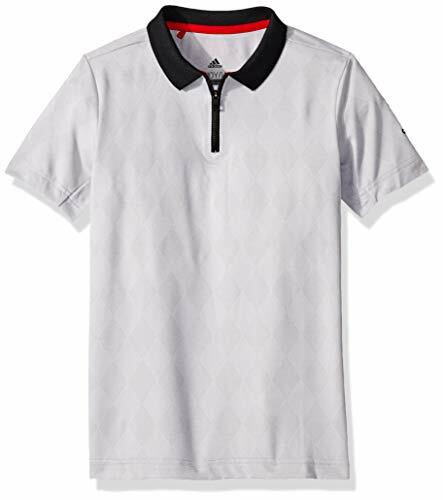 This polo shirt is designed with gussets under the arms to give you a full range of motion for relaxed and powerful strokes. 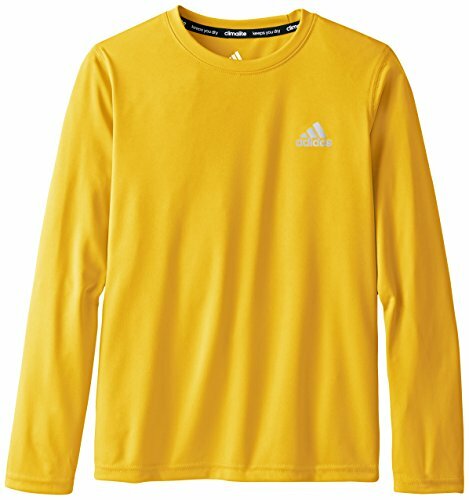 It's cut for a regular fit in stretchy jacquard fabric that wicks away moisture and features protection from harmful sun rays. 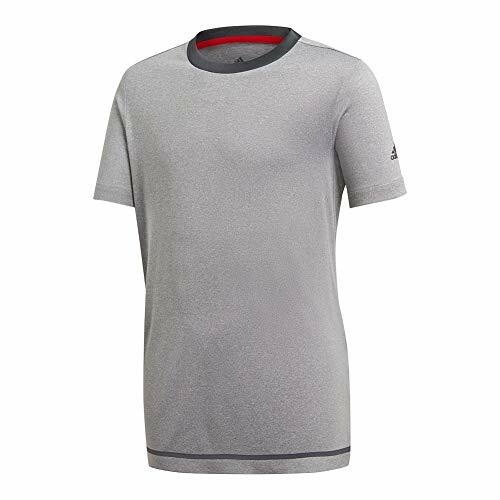 This lightweight tennis t-shirt is made from soft piqu fabric that channels sweat away from your skin to leave you dry and confident on court. 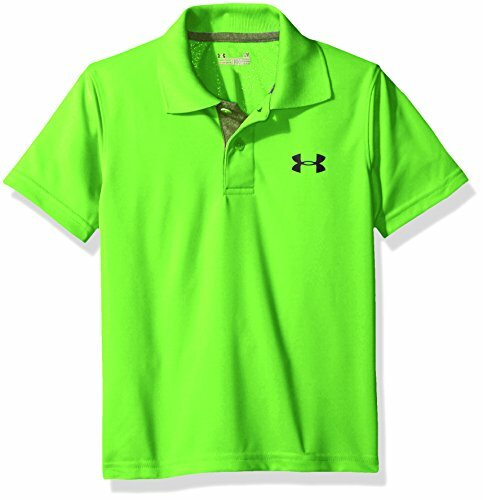 Built-in UV protection helps keep you hitting even during sun-baked sessions. 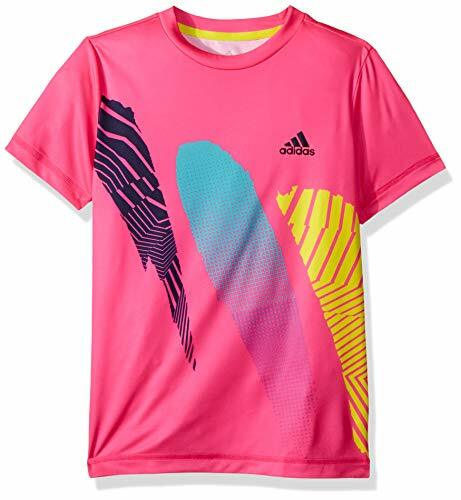 Size up your competition off the court with fresh style in the adidas Kids Tennis Barricade T-Shirt. Standard fit drapes the body with plenty of room for unrestricted mobility. 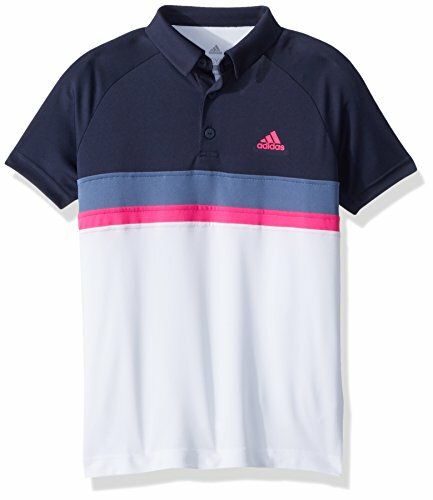 Ultra-lightweight weave boasts an allover heathered print with contrasting stripe along hem. Ribbed crew neck. Short-sleeve coverage. Logo hits left sleeve and back. Straight hem. 100% polyester. Machine wash, line dry. Imported. Measurements: Length: 22 in Product measurements were taken using size SM (8 Big Kids). Please note that measurements may vary by size. 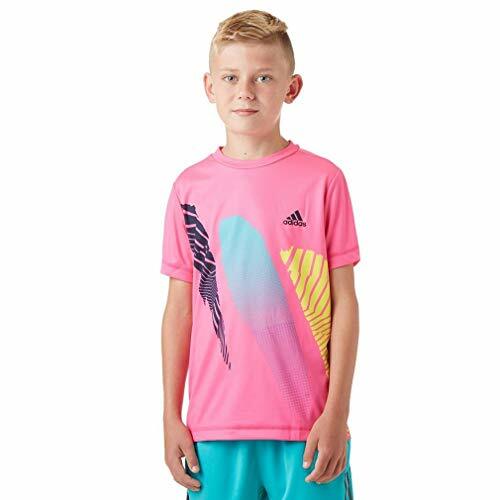 Size up your competition off the court with fresh style in the adidas Kids Tennis Barricade T-Shirt. 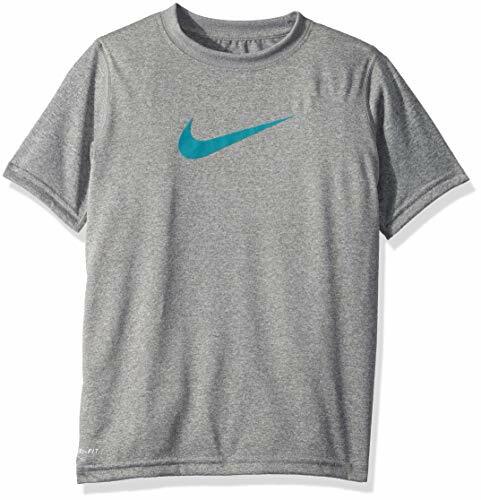 Work the baseline and Rush the net in this junior Boys' tennis shirt. It features Climalite fabric to sweep sweat away from your skin all match long, while contrast colors on the chest and sleeve hems finish the look. 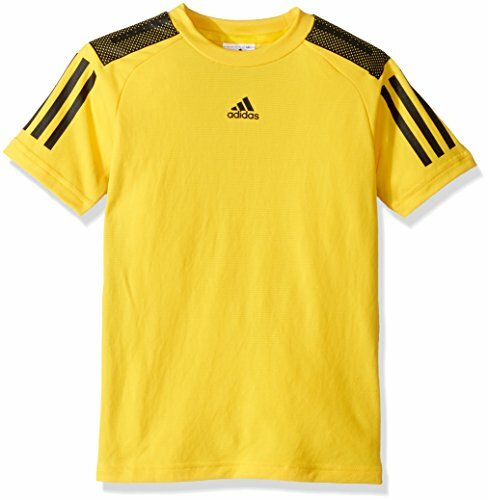 With an adidas brand mark on the left chest. 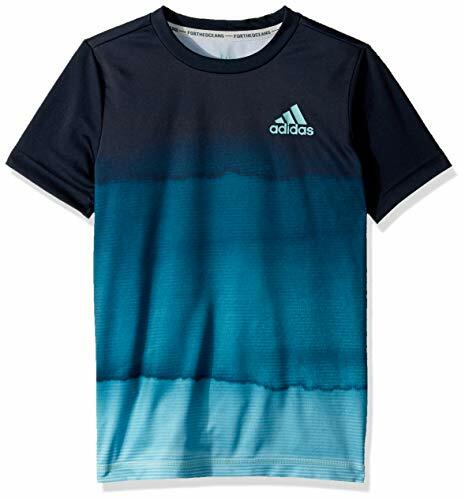 This Boy's climacool tee battles the heat with breathable, quick-dry fabrics so you're always cool and dry. 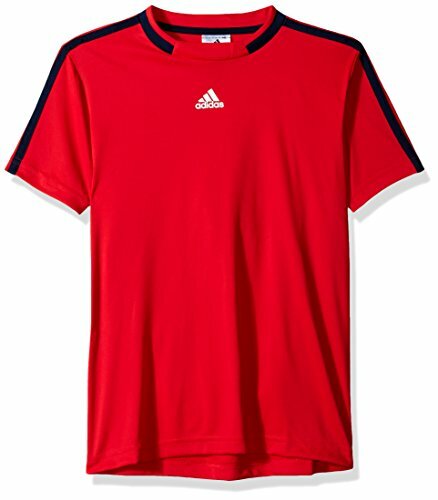 Stay dry while you serve and return for the win in this Junior boys' tennis t-shirt. The wicking power of Climalite manages sweat for quick evaporation. 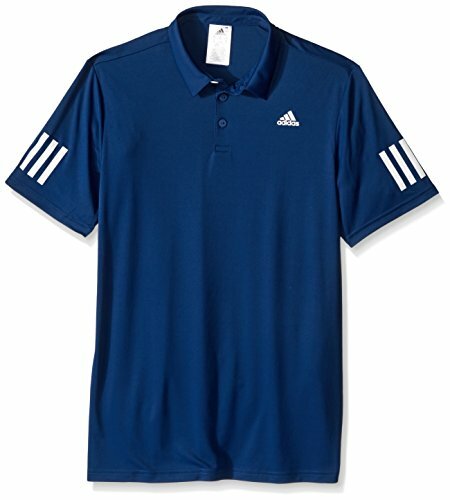 A regular fit and stretch fabric give your arms and shoulders plenty of room to move. Climacool - battles the heat with breathable, quick-dry fabrics so you're always cool and dry. Contrast color - printed artwork on the sleeves and side panels. Crew neck - collar with bonded tape on the back. Relaxed fit.